These ramps are a simple one-piece design which means that they require no assembly. Just position the wheelchair ramp and it's ready to use. They feature a seamless rigid design for a safe and solid feel. 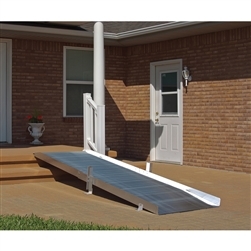 Solid Ramps are designed to assist and create a pathway over smaller elevation changes.